April 2015 Vanaweb pictures and images. Vana pairs a loose white satin long sleeve blouse with a peach silky slip. She shoots in a pale pink satin and lace nightdress. Vana models in white silk satin basque paired with a tight pink satin half slip. 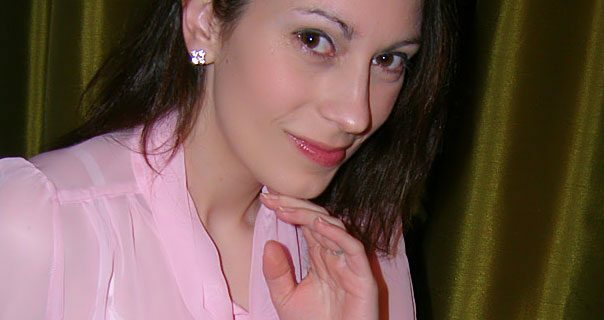 In the final monthly update Vana wears a pink sheer blouse with a knee length white satin slip.